That said, he stresses that efforts to reduce pollution shouldn't slow because some progress has been made. "There are a lot of people still living in unhealthy areas and there is still a need for improvement," says LaDochy, who has conducted studies of L.A.'s air quality and climate, many with the help of student researchers at Cal State LA. LaDochy suspects that California's continuously growing population is largely to blame for the state's failing grades on "State of the Air" reports and more residents is also behind the Central Valley's recent drop in air quality, according to the report. "Population in [the Central Valley] has really bloomed; it's nearly doubled," he says. "The coast is so expensive, so more and more people are moving to central California." The rise and growth of agriculture in the area has also led to a boom in population. According to the U.S. Census Bureau, California's population rose from 15.8 million in 1960 to 39.2 million in 2016. California, and more specifically the Los Angeles region, is especially susceptible to high ozone levels. Says LaDochy, "Our geography and our climate are two very big factors." Ozone, a highly reactive gas, is produced when the sun's rays split oxygen molecules. "It is a byproduct of our sunny weather and so many cars on the road," he explains. 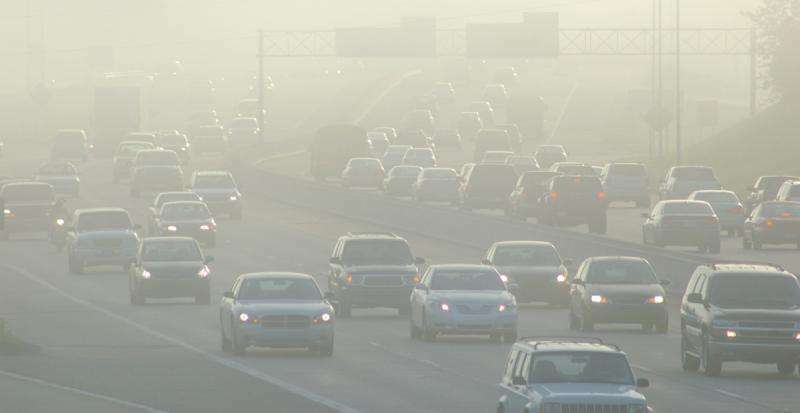 "So when the ozone levels go up, it is basically because there are a lot of cars and sunlight present." Hot days are especially bad for smog. "The higher the temperature, the worse the ozone levels," he continues. "So if our city keeps getting hotter, that is going to cause higher levels of ozone." LaDochy believes that recent proposed federal cuts to environmental programs will have a direct impact on the state's air quality. "One thing we can do is cool down these cities, and Los Angeles is trying to do different things to do that," says the air pollution expert, citing the city's efforts in planting trees and implementing cool roofs. "We can take a lot out of the ["State of the Air"] report," he says. "It is telling us that yes, we are improving, but there is still a lot to do. We need to be more sustainable, we need to live less consumptive lives. Everyone needs to do their part, every little bit counts."